This 32-pound Blakely cannon was recovered from the wreck of the Confederate warship CSS Alabama off the coast of Cherbourg, France, in 1994. 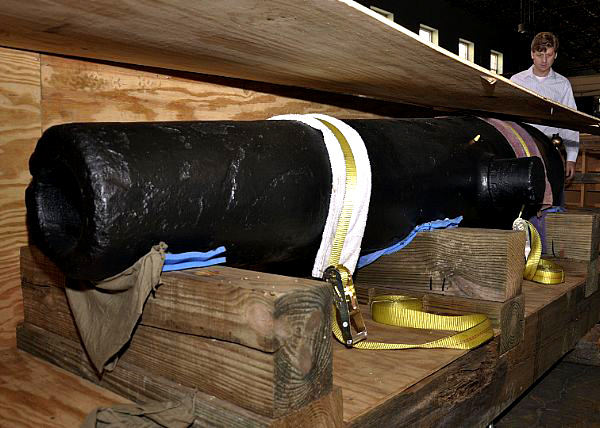 A conservator observes the cannon in its shipping crate at at the Naval History and Heritage Command laboratory warehouse in Washington, D.C. Courtesy of the U.S. Navy. Photograph by Mass Communication Specialist 2nd Class Kenneth G. Takada.